Browse through the back catalogue of Compass Box whiskies. With an offer of fine food, strong drinks and plentiful whisky, we were sold on The Spaniard in the West Village of New York City even before we tried their penicillin cocktails. Just as the team did in naming the bar, we wanted this bespoke Scotch whisky - created in collaboration with one of the owners, Mikey McFerran - to be memorable, character-driven and a little mysterious. A bespoke whisky made with Andrew Ferguson, whom we've been fortunate to work with for many years, in celebration of the 25th anniversary of Kensington Wine Market in Canada. Developed from an original brief from Andrew, this blend was a showpiece for the deep complexity that well-aged malt and grain whiskies from exceptional oak casks can deliver. The second edition of our Scotch whisky made to be shared and enjoyed like a traditional Vin de Table. The effusive distillery characters leap from the glass, unobscured by the heavier effects of maturation, providing a drink that is full of energy, versatile and beguiling. Serve chilled straight from the fridge like you would a white wine. This batch was made for the French market and released exclusively through La Maison du Whisky. In the spirit of artistic collaboration, we had been working with Binny's Beverage Depot on a whisky for several years, and were delighted to release Gold Standard as part of their 70th anniversary celebrations. The original Binny's stores, opened in Chicago in 1948, were called Gold Standard. We thought it a fitting name for this collaboration. The good folks at Bounty Hunter in Napa, California have been supporters of our work for many years and we have long admired their business, so it was without hesitation that we agreed to work with Stefan and Micah on this bespoke blend. From their brief, we created something with a deep, elegant complexity at its core, a nose of sweet fruits and an underlying smokiness. A blend developed in recognition of the exceptional efforts of one of our distributor partners in the US market, the Breakthru Beverage Group, and to celebrate the longstanding relationship between our businesses. We have a longstanding belief that there is a magic to certain combinations of Scotch Whisky. Such blends - like the very best of circuses - have the capacity to take us outside of ourselves for just a moment and elevate the senses beyond the everyday. Such is the case with this whisky, for which we were lucky enough to uncover that rarest of finds in old parcels of exceptional whiskies. We have always been firm believers in the spirit of enlightenment. That the more information we can share with our customers about the Scotch whisky we produce, the better. Inspired by the writers, philosophers and scientists of the Age of Enlightenment, this blend of fruity fragrant Highland Single Malt Scotch Whiskies is bursting with aromas of fresh orchard fruit, vanilla, soft spice and pear. A bespoke blend made for our friends at K&L Wine Merchants in California. The guys wanted something big and bottled at cask strength. They requested some sherry cask aging and some peaty-smokiness, and they loved the ephemeral complexity of well-aged whisky. We gave them all of this through a blend of malt whiskies from the Caol Ila and Glen Ord distilleries. Composed of less than 1% three year-old malt whisky, with the rest of the whiskies considerably older, regulations only permit us to share details of the age of youngest component! No matter. For it was this three year-old that was most important to us. Aged from new-make spirit in our own first-fill American oak casks, it imparts a lively vivacity and represents a milestone in our development as whisky makers. 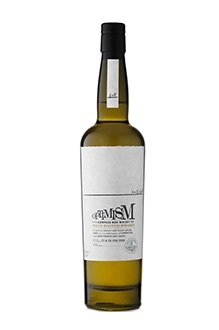 We had spoken with our good friends at La Maison du Whisky of creating a Scotch whisky that could be shared and enjoyed like a traditional Vin de Table. 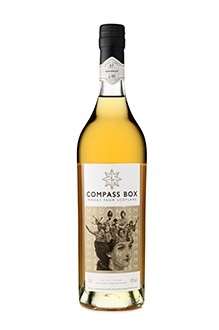 Something unpretentious, with a drinkability that calls you back to the glass. To celebrate La Maison du Whisky's 60th anniversary, we did just that. This batch was made for the French market and released exclusively through La Maison du Whisky. For this Swedish Whisky Federation Limited Release, we created a special take on one of our most popular whiskies using a blend of three Islay malt whiskies alongside a component of our signature Peat Monster blend. The resulting whisky had the elegant drinkability associated with our Peat Monster blend but with added spice, depth and richness of flavour. We have been proud to work with The Nectar over the years to bring our whiskies to the Scotch enthusiasts of Belgium. 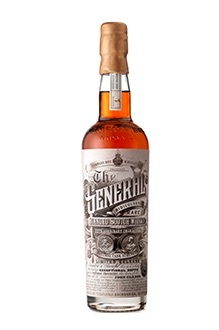 This bespoke whisky was created for the tenth anniversary of their business, with input from The Nectar's team. The recipe was best characterised by a complex balance between smoke and spice. This bespoke whisky was created with our long-time friends Daniel and Nima from New York and Ryan from Massachusetts, who had been at the heart of their local communities of Scotch whisky enthusiasts for many years. We had been talking with each of them separately about collaborating on a bespoke whisky, when one of them suggested we all work together. Rivals! Imagine that! In our fifteenth anniversary year, we decided it was time to revisit our first-ever bottling and reinvent Hedonism once more. 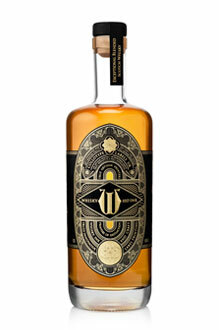 Using grain whiskies of varying ages from four distilleries, Hedonism Quindecimus was a riotous, intergenerational celebration of all that the interplay between grain spirit and American oak can deliver over the course of time. 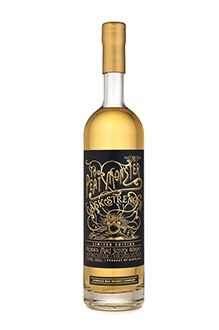 We took our already big, already peaty, already smoky malt Scotch whisky - The Peat Monster - and delivered it at cask strength in a double-size magnum bottle. 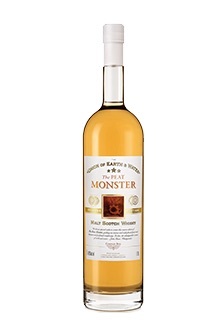 Available only for a short time and only in this large format, it was a unique opportunity to explore the complex balance of our usual Peat Monster at a higher bottling strength. A limited edition of just 300 bottles, each hand numbered and finished with a resin seal, created for our friends at Multi-Color Labels. First released in 2006, Flaming Heart was the first whisky to combine the rich, complex spice of Scotch aged in new French oak with the evocative peat-fired smoke of Islay malt. Brooding, indulgent and older than ever before, our fifteenth anniversary release was a huge, layered, long-lasting mouthful of a whisky to enjoy late into the night. We were thrilled to be asked by the folks at Bern's Steak House in Florida to create a bespoke Scotch whisky for them. Wanting to create something unlike anything else they offered, we painstakingly sought out rare old parcels of hard-to-find Scotch grain whiskies. The recipe combined just five complementary casks of 41 year-old whisky. This Limited Edition was a homage to our own ‘lost blend’ - Eleuthera - our first ever single malt blend that we sadly had to retire in 2004. It was also inspired by “The Lost Blend”, a short story written by O. Henry in 1907 about life in a New York bar featuring two business partners who try to recreate a blend of spirits with close to supernatural properties. This was the third bespoke whisky we made in association with our good friend Tim Johnston at Juveniles wine bar in Paris. It has always been a convivial place for great food, great drinks and fun, which is why we at Compass Box love it so much. The whisky: a blend of single malt whiskies sourced from the Glen Elgin and Clynelish distilleries, aged in American oak barrels. After launching Great King Street Artist's Blend in 2011, we experimented with a number of different styles of blends to determine which would be the next addition to the permanent range. This was one of two leading contenders - a lightly sherried style, it was sweet and fruity with notes of blueberry jam, ripe plums, candied orange and toffee popcorn. After launching Great King Street Artist's Blend in 2011, we experimented with a number of different styles of blends to determine which would be the next addition to the permanent range. This was one of two leading contenders - complex, smoky and aromatic with notes of seaweed, mint, salt spray and an underlying dried fruit sweetness. This was a special anniversary edition and tribute to the bespoke blend of very peaty single malts we created for the owners of the Park Avenue Liquor Shop in New York in 2003, which we named Monster. It was a celebration of ten years of sharing the joys of the craft blender’s art, of inspiring others in the industry and of enjoying the balanced, peaty charms of this creation. In 2003, we created a bespoke blend of very peaty single malts for the owners of the Park Avenue Liquor Shop in New York, which later went on to become our best-selling The Peat Monster whisky. In 2013, we celebrated the tenth anniversary of this collaboration and created a special cask-strength version of the bottling just for them. We know little of the two component whiskies in this bottling, only that they were blends of both single malt and single grain whiskies that had been blended at quite young ages, then put back into cask and left to age. But the provenance wasn’t really important, because each parcel had matured into something extraordinary in flavour, and the combination resulted in something more compelling with the "antique" character that lovers of old whiskies seek out. This was the first Compass Box homage to Delilah's, the legendary punk rock whisky bar in Chicago, celebrating the bar's 20th anniversary in 2013. The whisky was developed jointly by our founder and owner Mike Miller as an expression of their shared vision that great whisky should be enjoyed by all. Every few years, when we have the appropriate combination of aged whiskies, we are able to blend and bottle a new edition of Flaming Heart. This was our fourth. 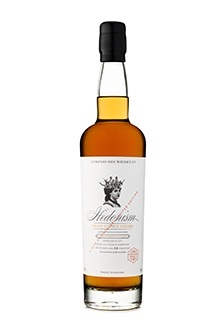 The blend combined Highland single malts aged on the highest quality, new French oak, with heavy-peated Islay single malts and for the first time, a small portion of whiskies aged in sherry casks. 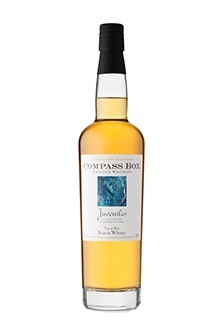 This whisky began as a beautiful vatting of three of our favourite malts, blended after each had reached ten years in their original American white oak casks and racked into a bespoke hybrid cask made of both used American white oak and newly coopered and toasted sessile oak from the Vosges forest. The liquid inside the cask developed almost magical aromas and flavours. The Entertainer was a bespoke whisky, commissioned by Selfridges' wine and spirits department in London. It a was raucous, full-blown, extravaganza of a whisky - rich, decadent, smoky and surprising. Stylistically, it harkens back to the turn of the 20th century, when blends contained higher proportions of malt whisky to grain whisky. A limited release to honour a New York bartender named Patrick J. Duffy and the year 1894, when he asked his local wine & spirit distributor to consider importing cased goods - or branded bottles - of Scotch whisky, which had previously been brought into the United States in bulk casks. Mr. Duffy's initiative precipitated the development of the Scotch whisky industry in the US as we know it today. 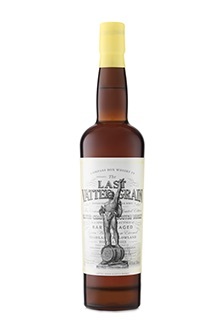 At midnight on November 22nd, 2011, it became illegal for whiskymakers to use the term Vatted Grain to label a Scotch whisky made from a combination of two or more single grain whiskies and instead, this style of whisky by law had to be labelled as a Blended Grain Scotch Whisky. To mark the occasion, we created a limited edition bottling made from a marriage of single grain whiskies from four distilleries. 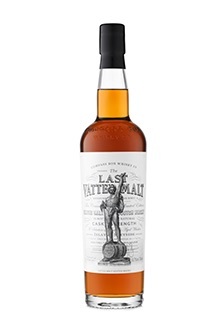 At midnight on November 22nd, 2011, it became illegal for whiskymakers to use the term Vatted Malt to label a Scotch whisky made from a combination of two or more single malt whiskies and instead, this style of whisky by law had to be labelled as a Blended Malt Scotch Whisky. To mark the occasion, we created a limited edition bottling made from a marriage of single malt whiskies from two distilleries. 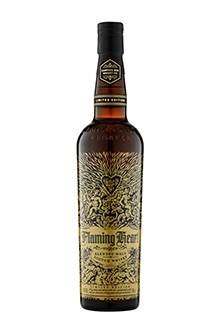 To celebrate our 10th Anniversary, Flaming Heart returned in its third limited edition, with a new label illustrated by Alex Machin. The release combined Highland, Islay and Island single malts, aged in a combination of American and French oak casks, to create a smoky-sweet flavour profile like no other Scottish malt whisky. To celebrate our 10th anniversary, we brought back a small-batch whisky we’d made only once before in 2004. A marriage of two single whiskies - one single malt and one single grain - this was a one-off, limited release of 876 bottles made of 18 year-old single malt whisky from the Glen Elgin distillery (76% of the vatting) combined with a single cask of 21 year-old grain whisky distilled at Port Dundas (24%). While much older than typically used for Hedonism, this single cask - distilled in 1971 at the Invergordon distillery - represented perfection in maturation and the basis for all the casks selected for Hedonism going back to that first batch in 2000. 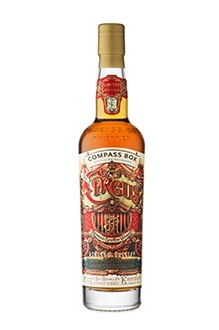 This special edition, one-off bottling of only 144 bottles was meant to be a suitable toast to all who helped Compass Box in its first decade. Optimism was created as a hopeful antidote to the global economic malaise of the time. 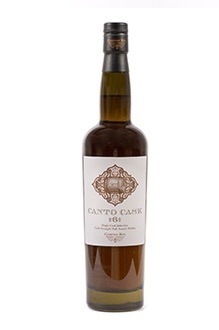 We bottled by hand just 163 bottles on site at the 2009 London Whisky Live Festival. The purpose of the bottling was to remind and inspire people to be optimistic: make the best of any situation, discover the opportunities in adverse circumstances, be brave but pragmatic, envision wild success! A limited release of just 754 bottles, this blend was inspired by a certain "Vatted Islay" Scotch malt whisky from a top independent bottler, shared with our founder by a friend. He was driven to recreate the magic of this whisky: ethereal beauty, deeply smoky and complex, yet with a structure, balance and drinkability that rivals anything you've ever had. 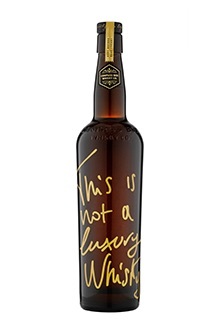 A global release of the reserve version of our classic whisky Hedonism, we used 42 year-old whisky from the Invergordon distillery in the northern Highlands, and complemented it with 29 year-old whisky distilled at Cameron Bridge in Fife, Scotland’s oldest continuously operating distillery. The result was a truly rare and remarkable whisky for the serious Scotch whisky hedonist. To celebrate the 5th birthday of our best-selling whisky, we bottled a limited release reserve version of The Peat Monster. Even peatier, smokier, richer and higher-strength than the classic version, it was available only in magnums. Only 1,325 cases of 4 magnums each (1.5L and 1.75L) were produced. 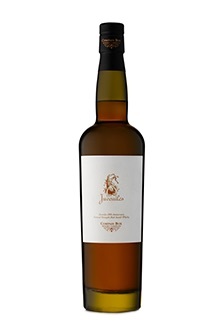 In honour of the 20th anniversary of Tim Johnston's Juveniles wine bar in Paris, we bottled a single cask of specially aged cask strength malt whisky. The Canto Cask Range was a first for Compass Box: a range of 16 single cask, cask-strength Scotch malt whiskies. Each cask held the same malt whisky, but for the last 18 months the whiskies were aged in a range of different new oaks, both French and American, in a variety of different toasts. 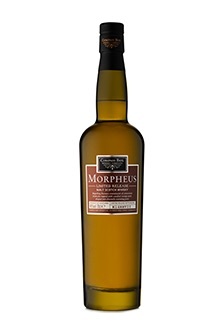 Morpheus (the Greek god of dreams) was a bespoke bottling of just over 900 bottles made for Milroy’s of Soho in London. In keeping with the whisky’s name, we pursued a visionary notion: the combination of strong peaty notes with an underlying richness and sweetness. 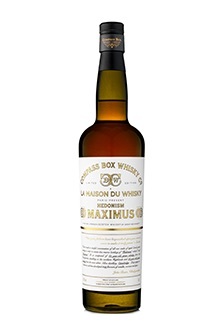 A reserve version of our classic whisky Hedonism, first bottled for our friends at La Maison du Whisky, Hedonism Maximus was packaged with a label that paid homage to one of Scotch whisky’s classic labels from the early 20th century. We used 42 year-old grain whisky from the Invergordon distillery and complemented it with 28 year-old grain whisky from the now-silent Carsebridge distillery. 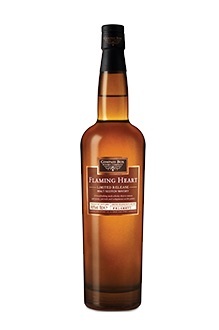 The original Flaming Heart was a big, bold malt whisky that combined peaty smokiness with the richness of French oak aging. 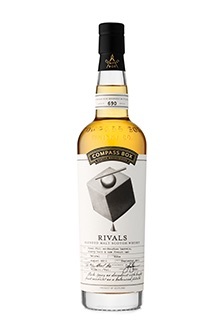 It was a style all its own in the world of Scotch Malt Whisky, very big, peaty, with smoky notes enhanced by rich, sweet, spicy (clove) undertones from new French oak aging. When the LCBO asked us to create a special whisky for them, we looked to distilling in Canada for inspiration. Given the "9.09% Regulation" for making Canadian whisky, we felt that this was the right place for us to break with our tradition of using whiskies aged only in American oak ex-Bourbon casks or new European oak, and use whisky aged in a former wine cask for the first time. In 2006, we made a bespoke set of 25 bottles of whisky for Jeff Murphy, a London resident. Jeff won this opportunity at a charity auction for Cancer Research UK. Big Block was named after a famous car engine Jeff collects. The whisky - a smoky, rich malt - lived up to the name. In 2005, our importers in Belgium picked a special marrying cask of Eleuthera which we sent to Belgium where it was hand-bottled as Mariage in a 50cl bottle. The Double Single was a bespoke whisky we did at the request of the famous Craigellachie Hotel of Speyside, in Scotland. Their elegant idea was to combine a single cask of malt whisky with a single cask of grain whisky, to create a combination that married perfectly together. We worked together over several months, finally discovering a magical combination of one malt and one grain whisky. The original bottling of Juveniles was made for Tim Johnston and his Juveniles wine bar in Paris. At first, we made something just for Tim to sell at his restaurant, but our French importer, then all our European importers, asked to sell it as well. The whisky combined three malts - distilled in the villages of Brora, Longmorn and Muir of Ord - all aged in first-fill bourbon barrels. This was the precursor to today’s The Peat Monster. We made this whisky originally for the Goldsteins of Park Avenue Liquor Shop in New York. 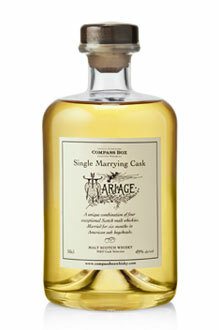 It was a cask strength bottling of just two casks, one distilled in Port Askaig, the other in Kennethmont. The popularity of Monster was such that we decided in 2004 to launch it as a permanent part of our range, at 46%, called The Peat Monster. Eleuthera was our very first vatted malt. 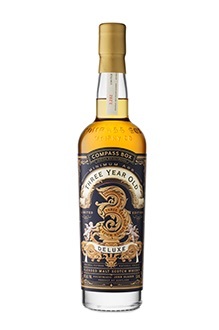 Typically it combined 15 year-old malt whisky from the village of Brora, aged in re-charred hogsheads, with 12 year-old malt from the village of Port Askaig. Sadly, when the 15 year-old malt we needed was no longer available aged in re-charred casks, we decided to retire Eleuthera rather than overhaul the recipe. 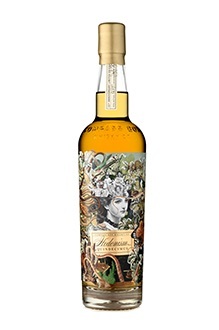 Our first-ever bottling, Hedonism explored a brave new world of flavour previously uncharted in the world of Scotch. The inspiration for the whisky that started our company came from our founder's love of the poor relation in the Scotch whisky family - grain whiskies - and his belief that the best grain whiskies, from great casks, are some of the silkiest, sweetest, and most delicious whiskies in the world.